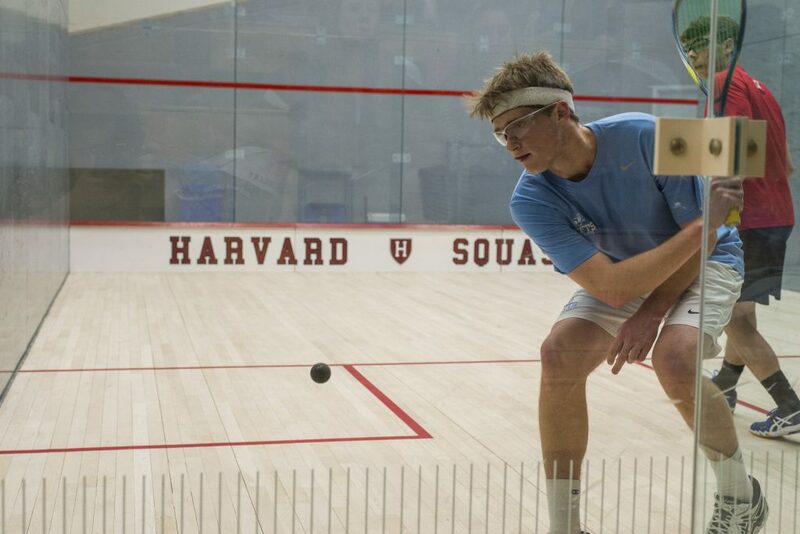 Led by new coach Joe Raho and stacked with impressive first-year recruits, men’s squash is more than ready to begin its winter season on Friday, when the Jumbos will travel across the state to a dual match against Amherst. Tufts finished last season with several notable victories, including a 7–2 win over Conn. College in a consolation round of the NESCAC tournament. With their season-opening match against the Mammoths quickly approaching, the Jumbos see their NESCAC opponents as their primary competition this year. For Raskopf, competing against tough league opponents will be nothing new. Last season, he contributed to the squad’s win over Conn. College by defeating his opponent in three straight games, 11–6, 11–2, 11–8. Now, Raskopf will lead alongside junior co-captain Aidan Porges. Last year, the squad struggled against NESCAC opponents but came close to beating Bowdoin, eventually suffering a 6–3 loss, and falling to Wesleyan by the same margin. In order to improve on those results this winter, the team took advantage of off-season lift practices to improve both physically and to bond, Raskopf said. Raho agreed with Raskopf’s sentiment. Almost the entire team participated in lift practices this fall, according to senior Josh Lee. Men’s squash starts its season with seven first-years on the team, a huge number that is an exciting part of this year’s team, according to Raho. Raskopf agreed with his coach’s sentiment. This competitive nature within the squad will certainly be beneficial when the Jumbos play against other teams, but it also helps simulate a match environment within their own practices. Aside from challenge matches to set up the team’s ladder, the team has been using pressure drills in almost every practice since Nov. 1, according to Raskopf. In pressure drills, one player stands in the corner of the court and hits to the player training hard for two or three minutes straight. According to Raho, the pressure drills also do a good job of simulating a match environment. The Jumbos are looking to start the winter off strong by employing the physical and mental endurance they have been acquiring during these practices. With key upperclassman leadership partnered with the new blood of its talented first-years, the Jumbos are hungry for a win in their first match against the Mammoths. Tufts hosts Hamilton the very next day on Nov. 18.